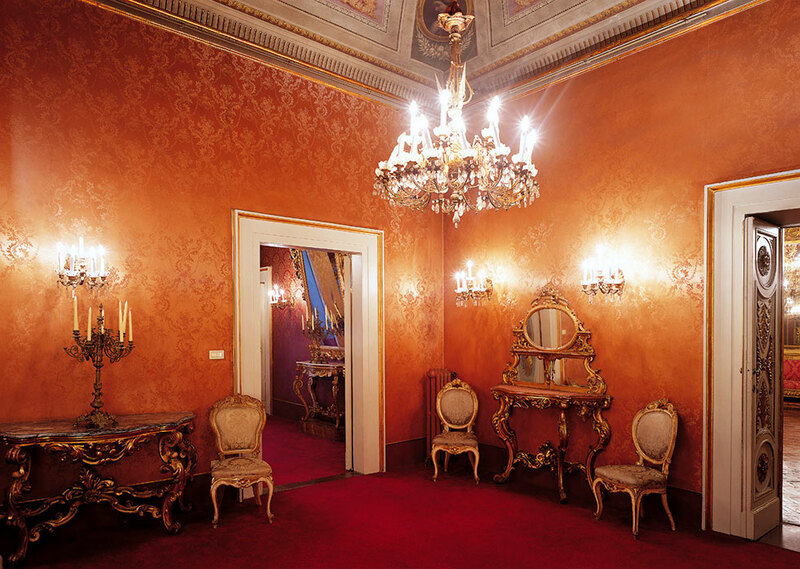 Palazzo Borghese became the beautiful venue it is today at the end of its last reconstruction in the 16th century. 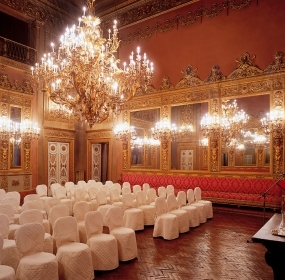 This building preserves unique architectural elements, showing itself as the ideal location for the organisation of meetings, fashion shows, weddings, and different kinds of events. 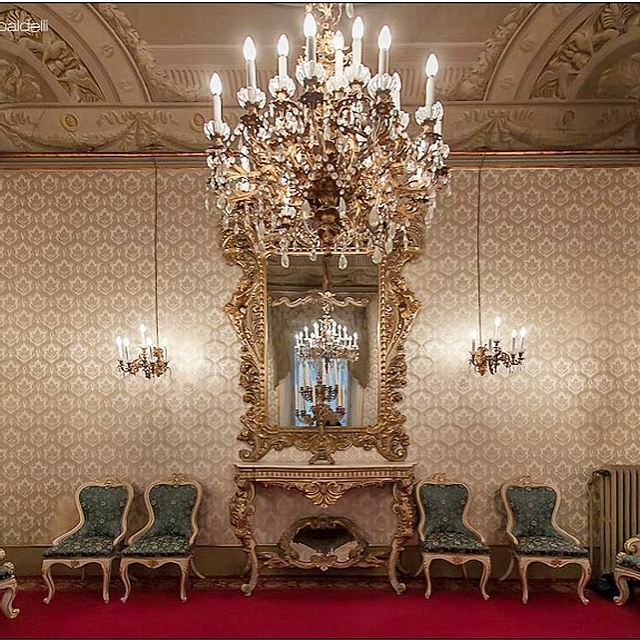 Located in the middle of the historic centre of Florence, very close to the Duomo, Santa Croce Square and Signoria Square. 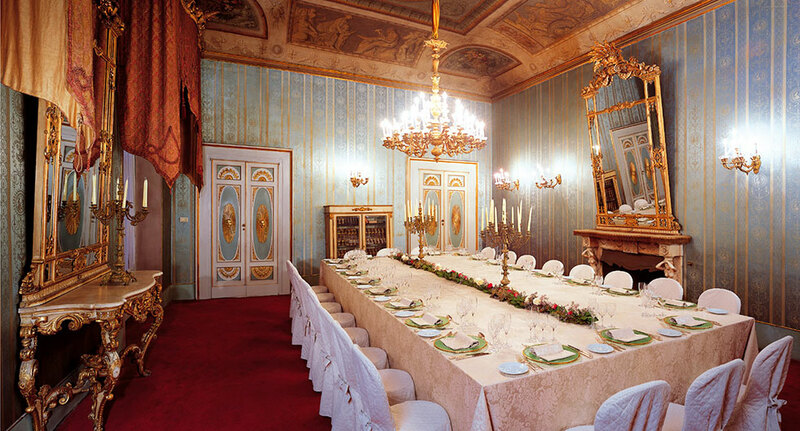 Palazzo Borghese is one of the most striking examples of neoclassic architecture of the tuscan capital. Although it preserves an impressive facade, this building often passes unnoticed, almost suffocated by the anxiety of the road. 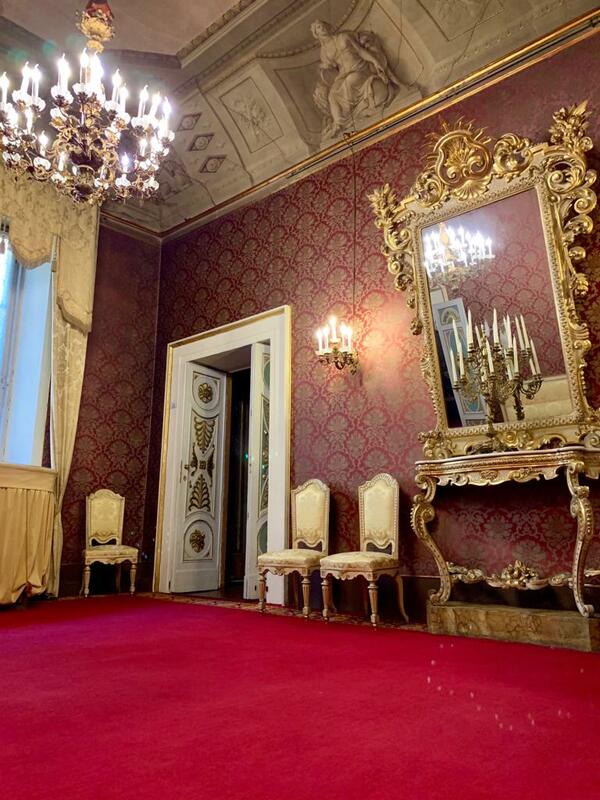 Once inside, however, the beauty and the pomp are dazzling: the imposing honour staircase leads to the noble floor. 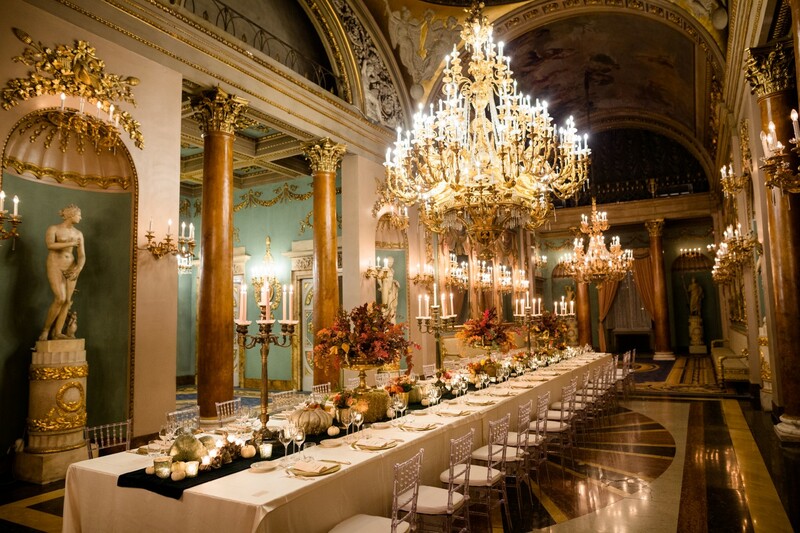 The heart of the building is formed by the Mirror Room and the Monumental Gallery (or Reception Hall), which is a true architectural and artistic jewel. 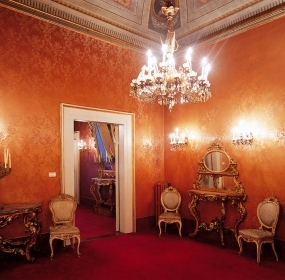 The gallery of two hundred square meters of frescoes, plasters, bas-reliefs, niches, statues, columns and draperies rappresents the classic idea of renaissance. 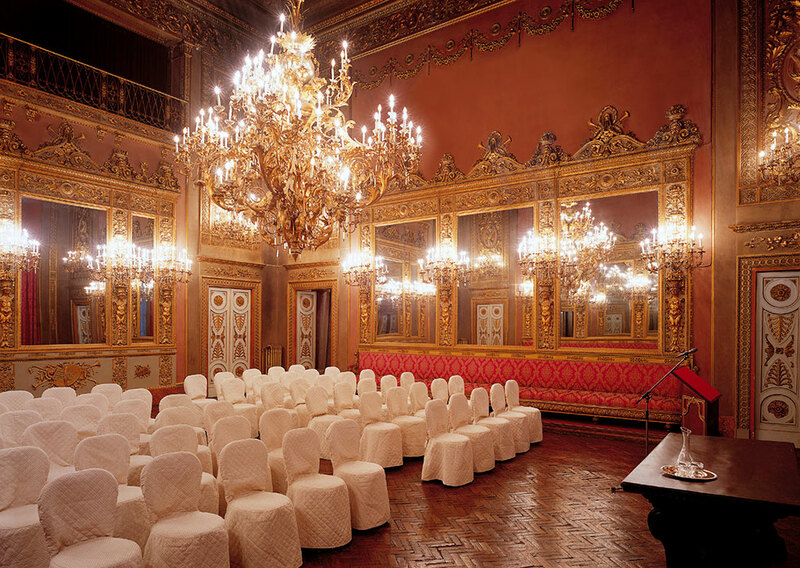 Today Palazzo Borghese remains one of the most remarkable buildings in the city, ideal for elegant and sofisticated events. 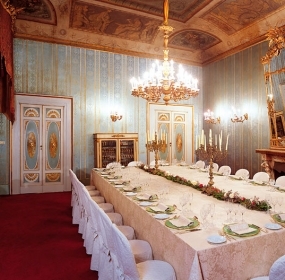 The history of Palazzo Borghese Aldobrandini begins in the middle of the 15th century when the Salviati brothers decided to combine various buildings into a single one. 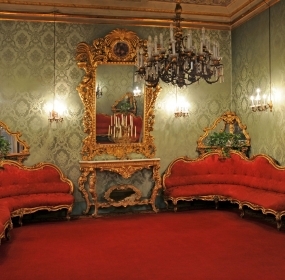 The renovation and enlargement continued into the early 16th century. 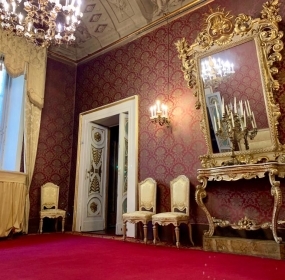 To the Salviati family, the Palace must have seemed too modest, because they entrusted a second complete renovation to the architect Gherardo Silvani (1579-1675). 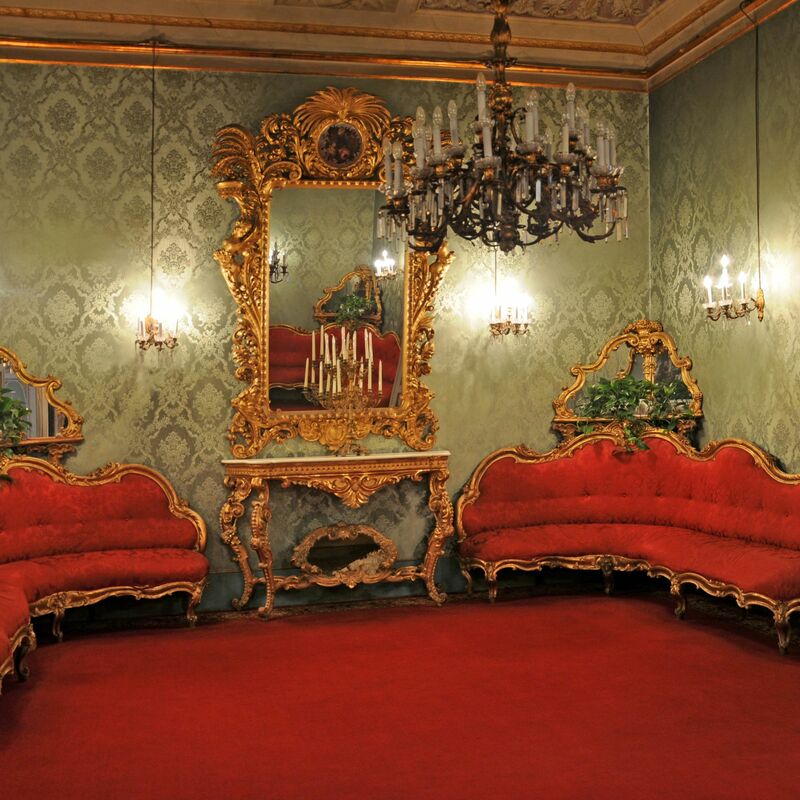 Following the marriage of Anna Salviati with the Roman Prince Marcantonio IV Borghese, many of the assets of Salviati passed to Prince Camillo Borghese, who took temporary residence in the Palace, after his marriage to Pauline Bonaparte. 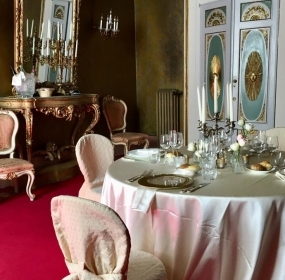 The rich Prince renovated the building once more on the occasion of the wedding between Grand Duke Ferdinand III and Princess Maria Ferdinanda of Saxony in May 1821, commending the work to the young architect Gaetano Baccani. 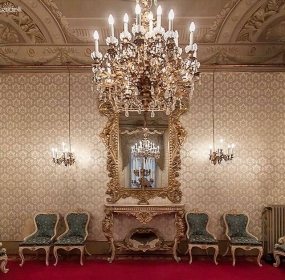 After the death of Prince Borghese, the Palace was inherited by other Florentine families. 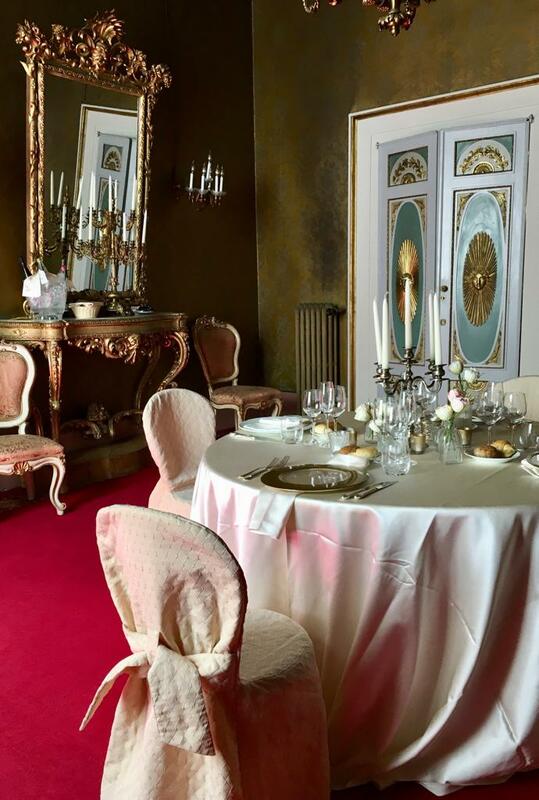 In 1843, the owner decided to offer the entire first floor of the building to host the “Casino di Firenze“, one of the first and most exclusive Italian clubs. 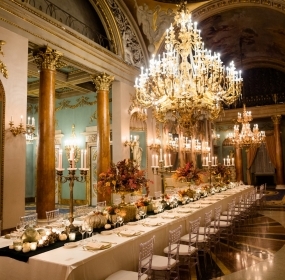 Palazzo Borghese, currently maintaining the splendor and pomp, hosts in its many rooms of various sizes events such as meetings, conferences, events linked with major appointments in town, weddings, fashion shows and musical videos.